I look forward to Reform Day. The 'A' Team did well thanks to all the hard work of the people responsible for team 'A' I would hate to mention any by name because I would probably miss out the name of an important person whose input was invaluable. This referendum has indeed galvanised a group of people who may have otherwise disbanded in despair. Not so - chin up and persevere there is more than one way to skin a cat. 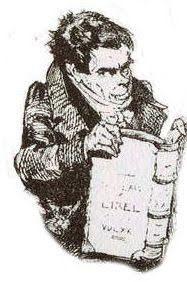 I would be interested to find out if one may get a copy of the book mentioned by Sam Mezec that Norman Le Brocq wrote about the way forwardin Jersey along with more information about what Tom Gruchy thought and what made him lead the rebellion. What the population needs between now and Reform Day is more information in the logic behind the steps that need to be taken. I feel this is what the 'A' team should be doing now continueing to educate and push forward the now not so radical views of the political soothsayers of the past in Jersey. there is more to political life than scribbling on blogs.